Attn: Baby Boomers! Get the Latest CDC Recommendations For You! 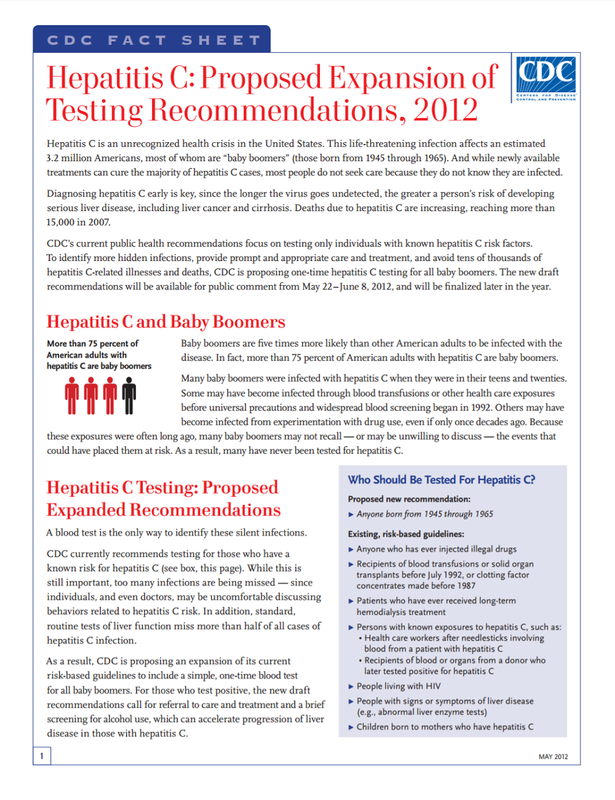 If you were born between 1945 and 1965 you may be at risk for hepatitis or liver disease. Click here to read more.